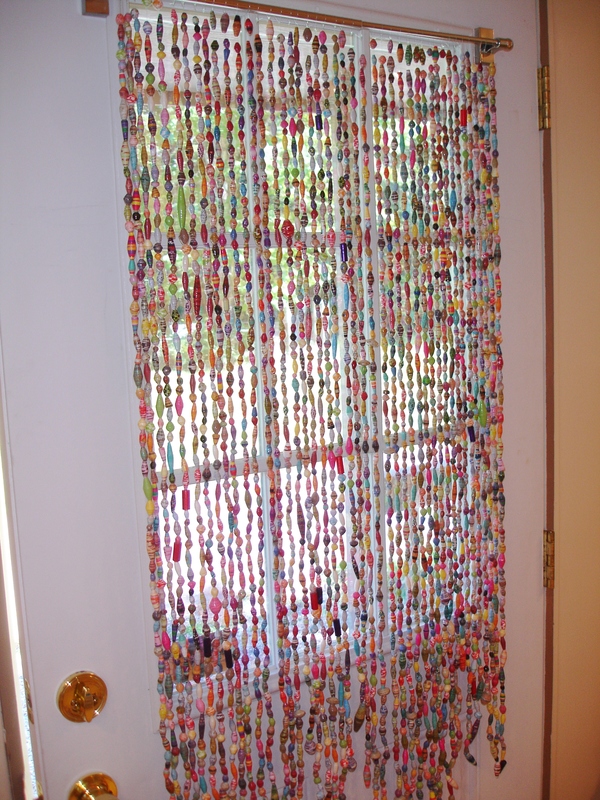 I am proud to say I have FINALLY finished my Paper Bead Curtain! I have been working on this project since last fall, almost a year now! It is on the back of my studio door! 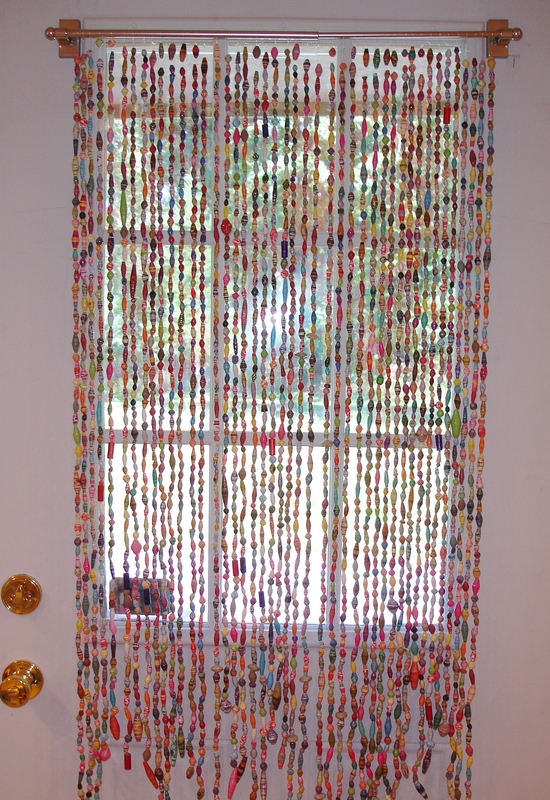 I found a magnetic curtain rod that fits perfectly across the top of the window! 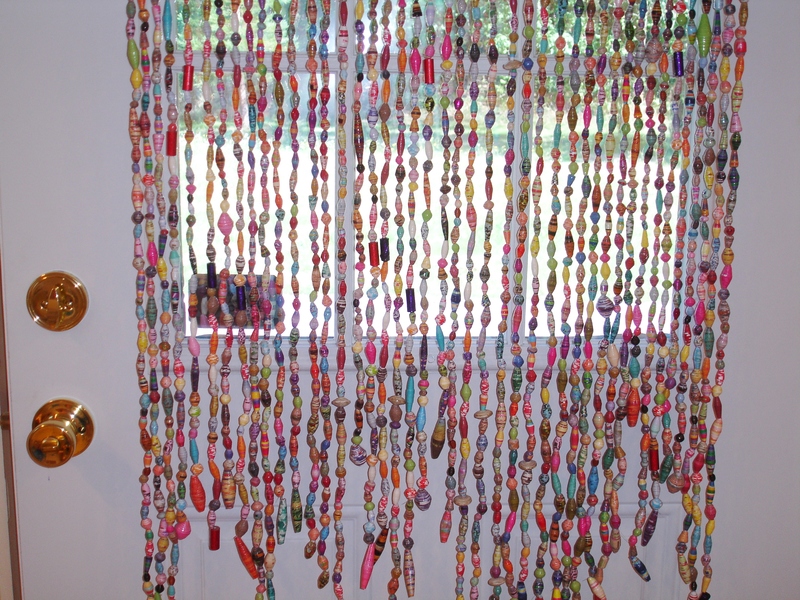 I’ve chosen to make my paper bead strands in varied lengths for a funkier look! It is so beautiful, I can’t quite put it into words! I am so happy with the finished product, I wanted to share it with all of you! I’d love to know what you think! Leave a comment if you wish! Until next time, Happy Beading!